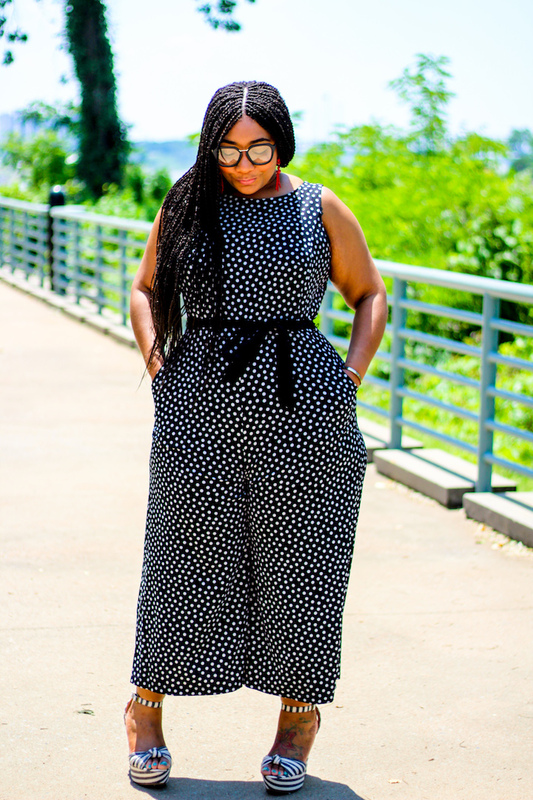 As you all have witnessed lately, jumpsuits are everything to me right now. 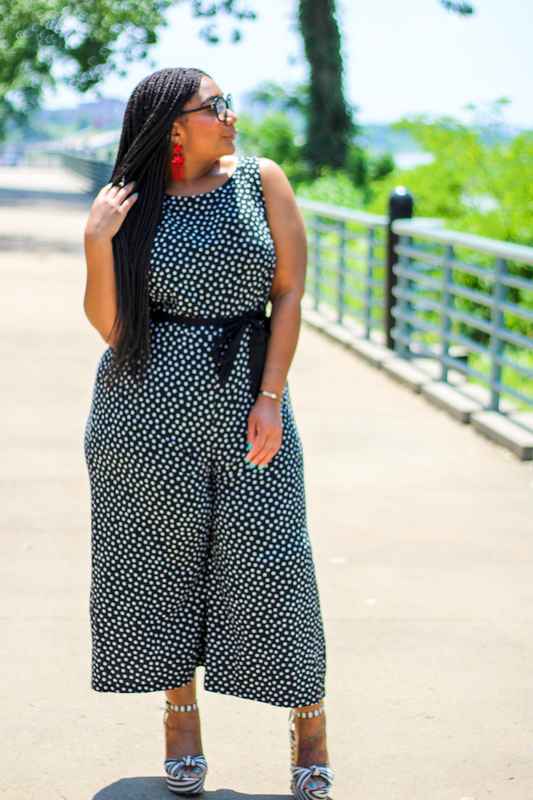 Jumpsuits are equally as easy as a good dress. Now I know I have posted a few, but none of those jumpsuits were work appropriate. I pride myself on not only conducting myself as a professional but also wearing work appropriate attire at all times. 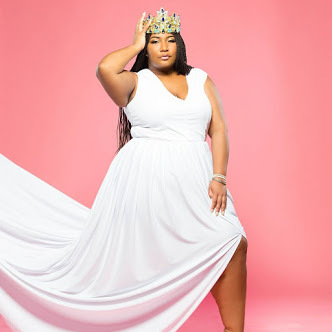 I have a curves, that is a given, but I do not attempt to overly accentuate them at my workplace. 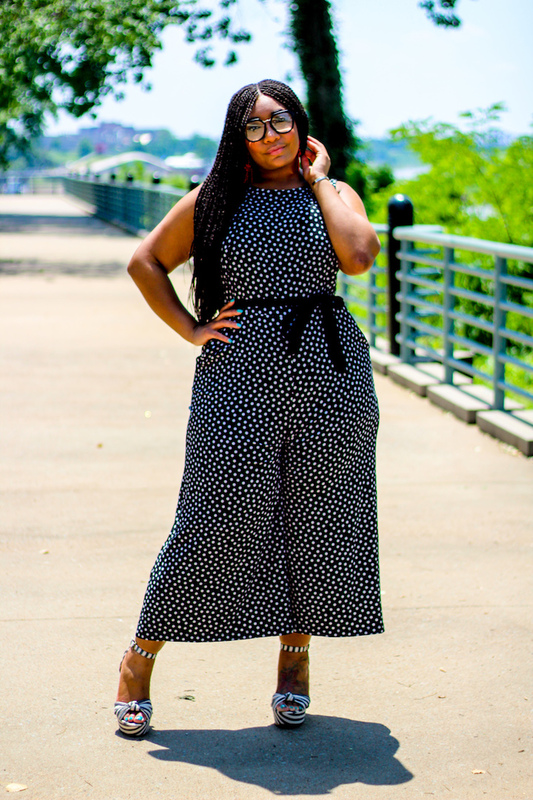 This jumpsuit is the best workplace appropriate jumpsuit I own! 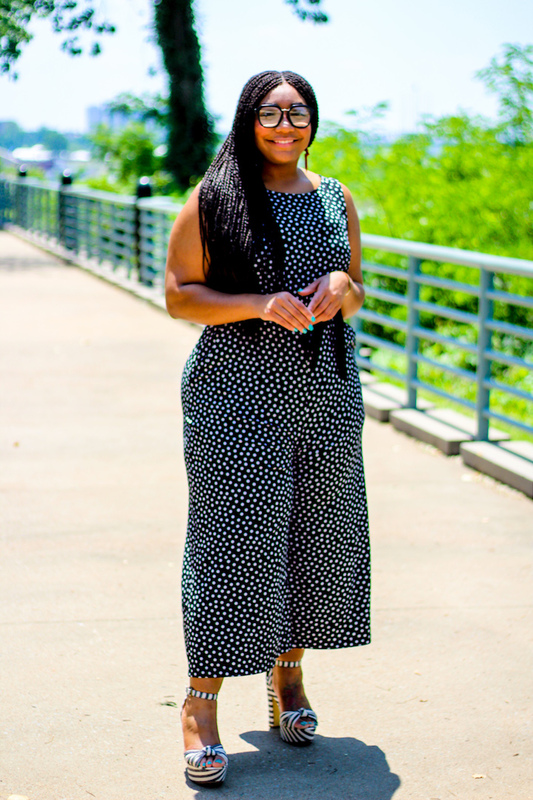 This jumpsuit has wide legs and is not made out of a super stretchy material so it does not cling. The solid black belt creates a great waistline for every body type. Also, I am wearing striped sandals (similar) to add a little dimension to this outfit and my red earrings add a pop of color. 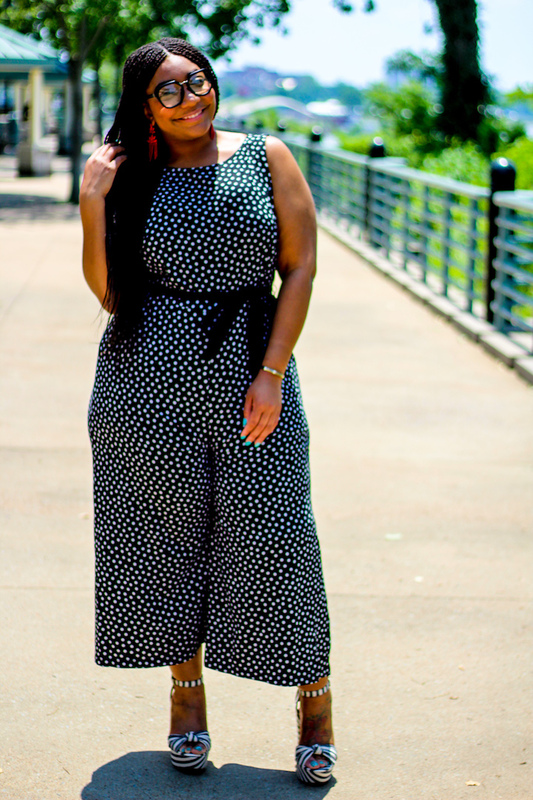 Style Notes: My jumpsuit is true to size in a 16. 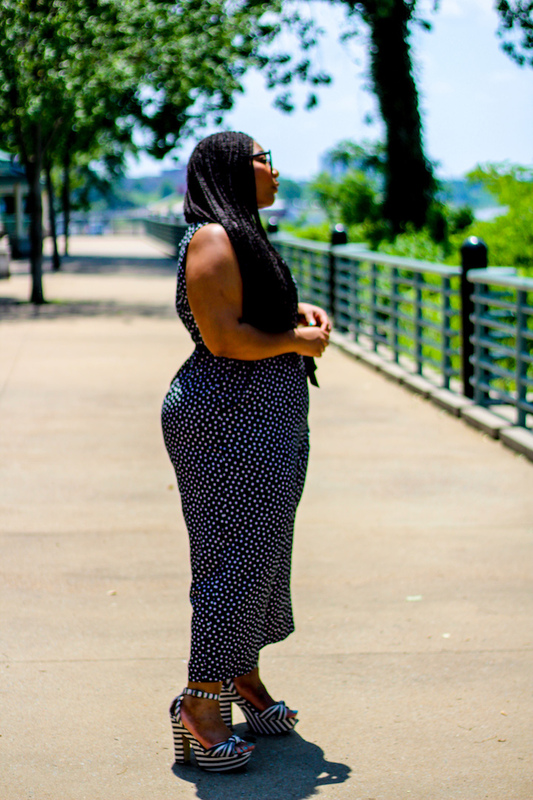 These days I tether between a 14, 16, or 1x in dresses and jumpsuits. Since this is for work I went with the 16. My sandals (similar) are true to size in a 10.